Construction Signs Installation and Construction Graphics Installation is a process that Graphic Installation team does with pride. This is how WORK IN PROGRESS or a CAUTION message is going to get across. Construction graphics can be the determining factor as far as the safety goes. Graphic Installation team covers both residential and commercial areas. While we are based in New Jersey, New York, and Boston, we are also willing to go nationwide. The well-versed team is going to assemble your under construction signs safely and correctly. Besides these services, we offer other graphic installation services. If you have a car, a fleet of trucks, or if you are a realtor – contact us. 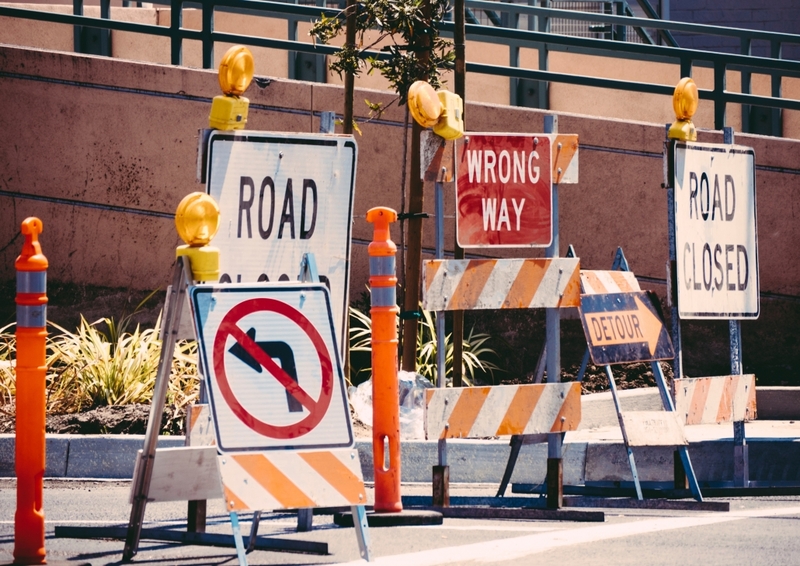 After you have spent a lot of money on construction traffic signs design and print, it is wise to leave the signs in trusted hands for installation. We are the team who is capable to accomplish every challenge in the time frame that you see fit. What is more important, we will not burn another hole in your pocket. You will get the highest installation quality that is going to fit your budget. The way our versed team approaches every construction ahead sign job is with precision and care. We will prolong the life of the material with proper installation and ensure the maximum results. One thing is sure – you can count on Graphic Installation team to handle any job with care, no matter the terrain. There are not many teams that have years of experience in this niche, but we do. We will logistically find the best way to install your construction warning signs and make construction site signs safe and visible. 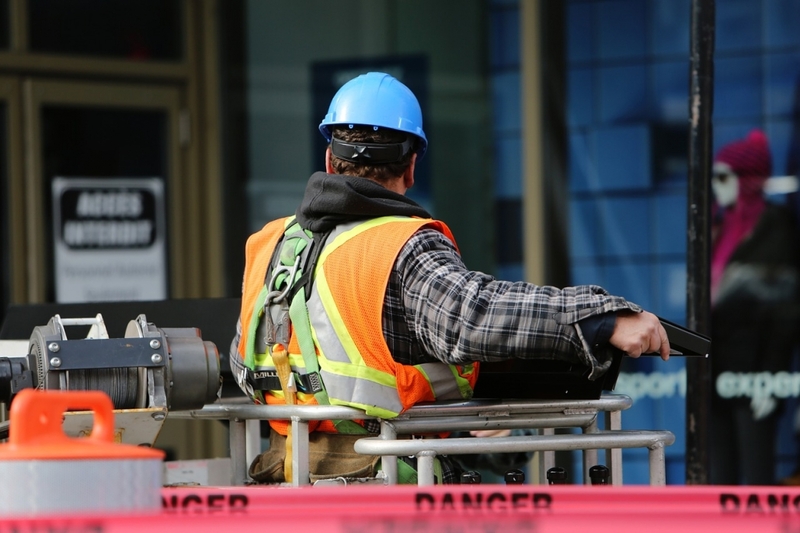 No matter what stage your construction site is in, our technicians will arrive on the site well prepared. That means we will get there fully-equipped, and ready to install your construction and maintenance signs in the best and fastest way. Our quality workmanship will never disappoint. Graphic Installation team is top-notch, and we can prove that we are familiar with the latest tools and technology. Just look at us go! We execute the job professionally and cleanly. You won’t even notice we were there, except for the great results of our work. Our most important goal is quality in the entire process. We will make sure to install signs so that all product-specific requirements, such as construction sign color, are taken into consideration. The point of proper sign installation is that the traffic sign post installation, for example, is well placed, durable, and most importantly – visible at the end of the process. Safety always comes first and you can’t put a price on that. But, you have to be sure to hire an expert who won’t burn holes in your pocket. That’s us – Graphic Installation experienced and professional team. What makes us so successful are organization, experience, and knowledge. We are here to answer your questions – how to install a signpost or how to install road signs. You need your signs to stand out, especially in the construction environment. These eye-catching signs send a strong message to the workers and passerby. When you install them properly, they will support your safety alert requirements. Whenever we get to a new construction site, we make sure not to leave it until the customer is completely satisfied with our professional services, logistics, and organized process. A well-done job is the only kind of job we do. That’s what is important, especially if it includes someone’s safety. We are more than happy to adjust our working time that fits best your schedule. You will get a complete attention, and your deadline will instantly become our deadline when it comes to construction signs installation. A professional and clean manner of getting things done is embedded in our team spirit. It’s just how we roll, and we eat roll-up construction signs for breakfast. Make sure you check all our services because we can accommodate a variety of installation requests. As we work with the graphic construction signs you supplied, we will make sure to treat them as they were ours. We respect the entire process of choosing the right design as well as money you put into it. We are the last step, and we consider this step to be a crucial one. If you don’t install your sign properly, all the effort you put into it before is going to waste. Our team is going to travel to the site and install as many road construction signs you want, with utmost care. Exterior road sign installation contractors sign installation is not new to our team. All that money spent is not going to serve its purpose unless it’s professionally installed and properly sited. Our team will handle virtually every type of indoor and outdoor sign installation. Above all that, we are reliable and affordable. Give us a call and we will give you an estimate based on the information you give us. Contact us at (888) 888-5715 and see why we are the best in what we do. Every construction graphics sign is unique for us. We don’t see it simply as a piece of plastic or metal. When you install it properly, the image of your business becomes stronger. You are becoming a responsible, caring company that means business. What we provide, is the skills. Construction graphics installation service is not something that many installation companies do. We are very niche specific. This is our business and something that we are really good at. 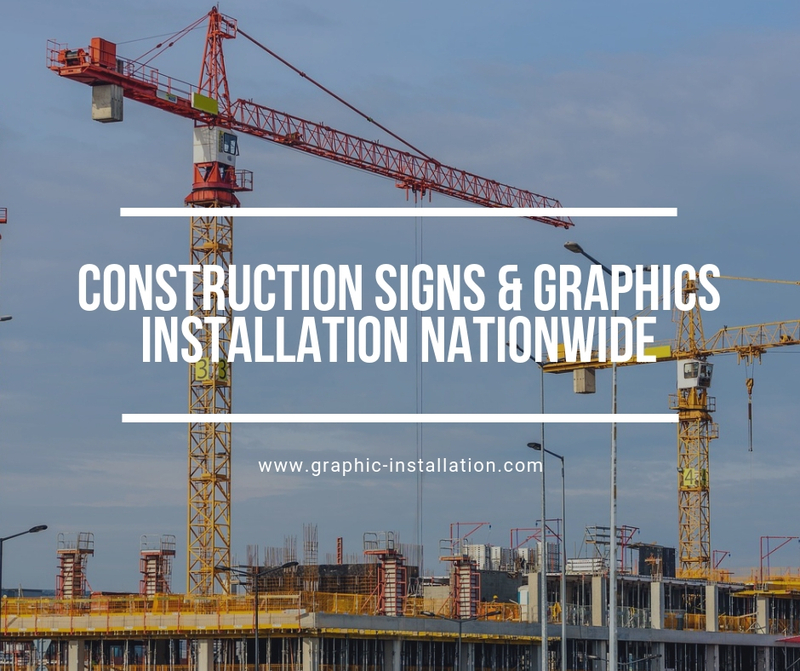 Graphic Installation team is here to make sure that equipment, qualification, and manpower is present on your construction site to get the job done right. Any kind of work you might think you have for us – we can handle it! The best team of licensed professionals is at your disposal nationwide, across the U.S. Once you get in contact with us, feel free to ask any questions you have because we will be more than happy to give you answers and provide options. Be blunt about your budget if that’s your greatest concern, and we will tell you what we can do with it. You will be surprised how far little can get you to go. Contact us today at (888) 888-5715 and we will tell you all about safety, proper installation, and logistics, so people can see your message clearly for their own safety. A job well done is the only kind of job we do. Graphic Installation team never settles for less than perfect.